We enabled TLSv1.3 support on the WordPress.com API today and it’s already 50% of total traffic. Earlier this year, my colleague David Newman gave a great talk about the systems that power WordPress.com and our container-based VIP platform at ScaleConf in Cape Town, South Africa. Today, one of our network engineers, Chris Laffin, published a great post on the WordPress.com Developer Blog about how we use open source tools to analyze netflow data for our ever-growing global anycast network. This week we started testing our global anycast network. 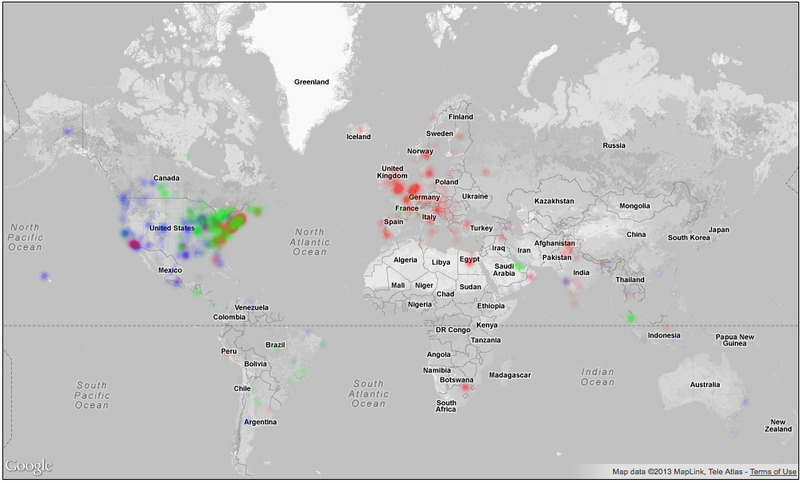 We have a real-time map which shows which people are served by each location. Today we have three locations online, we hope to have 10-12 by the end of the year.